It's not very busy time recently... I feel like I was not doing this for years. But maybe it's because of me getting older and drinking too much wine... Sometimes I feel the time runs a bit too fast. Speaking of wine, I've got a message last night, from an old friend named Kotivra... She claims she paid a visit to one of the richest lords of the City's countryside. What I heard is the guy has... a lot of gold but a few weak guards. 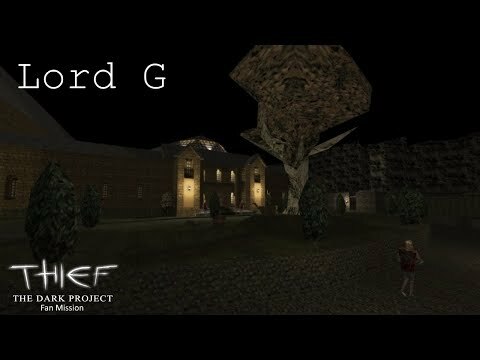 Lord G, is quite known in the City, however he lives in his large mansion far away from it. People say G is for "Gold", considering his wealth. His lordship is a retired wine expert. Still, he continues his job despite being old. His job is to tell the quality of wine, so that wine makers can put his stamp on it... He does it during many private meetings as well as larger parties... Kotivra is... an exotic friend of mine. She is a treasure hunter, traveling around the world, searching for interesting items and places. She attended a party at Lord G mansion, being interested in seeing a large number of types of wines. She saw it, but she also saw Lord G's security issues. Tonight his lordship is in town, renting his party halls to mansion tenants. Everybody will be busy having fun, guards will be a bit more relaxed. Time for a little treasure hunting trip.